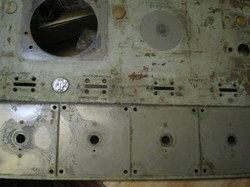 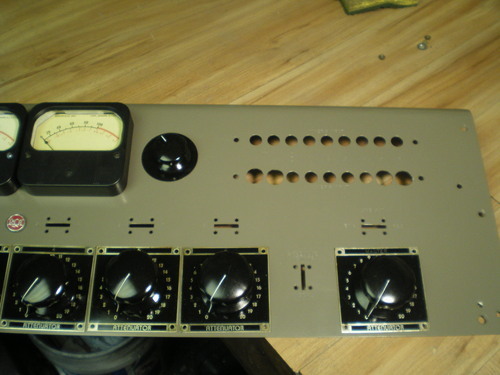 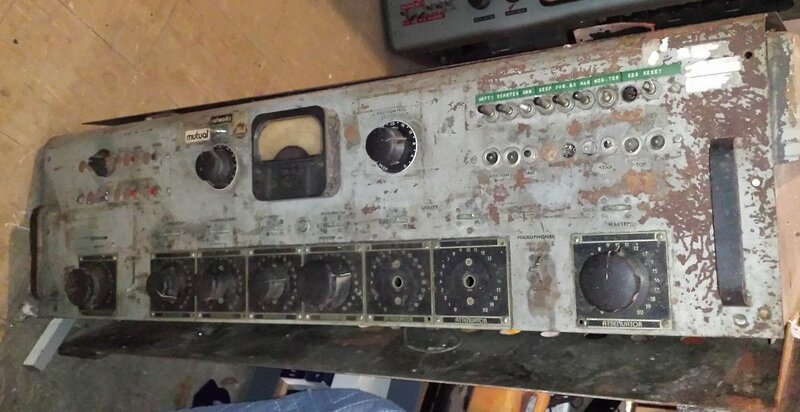 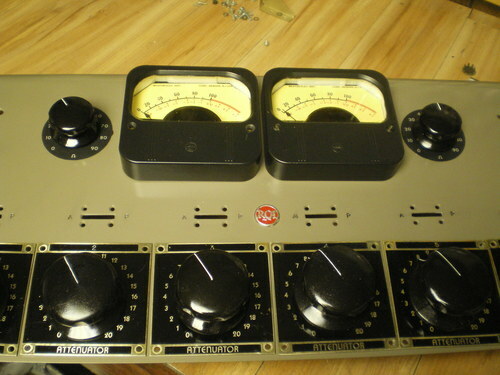 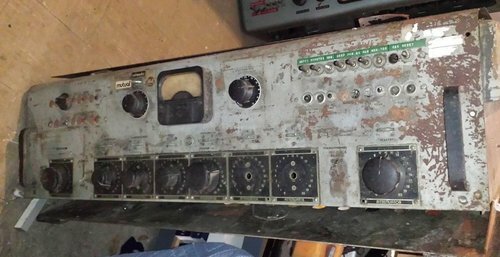 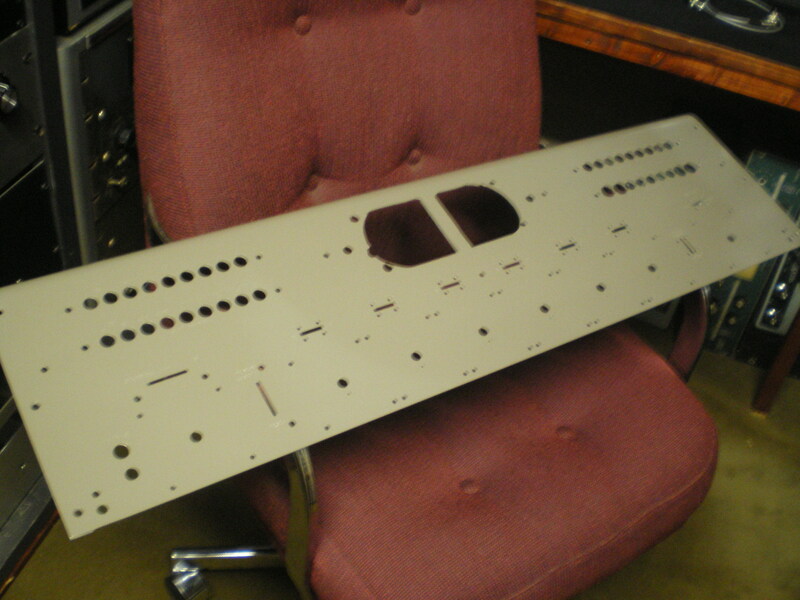 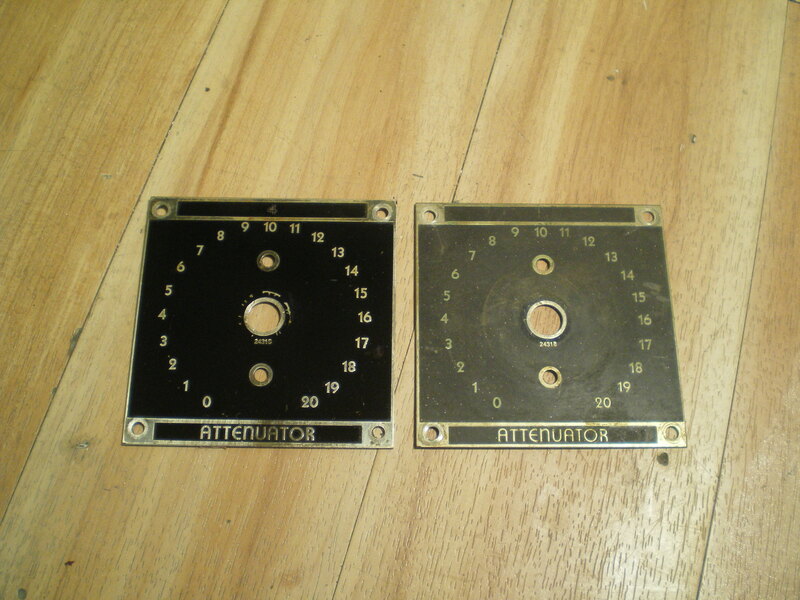 A good friend of mine sent me an RCA 76B console front panel, lid, meters and escutcheon plates, knobs etc, to "make new"
Oh, and wanted the finished product to look like a 76D console like the one you see in the Sun Records studio pictures. 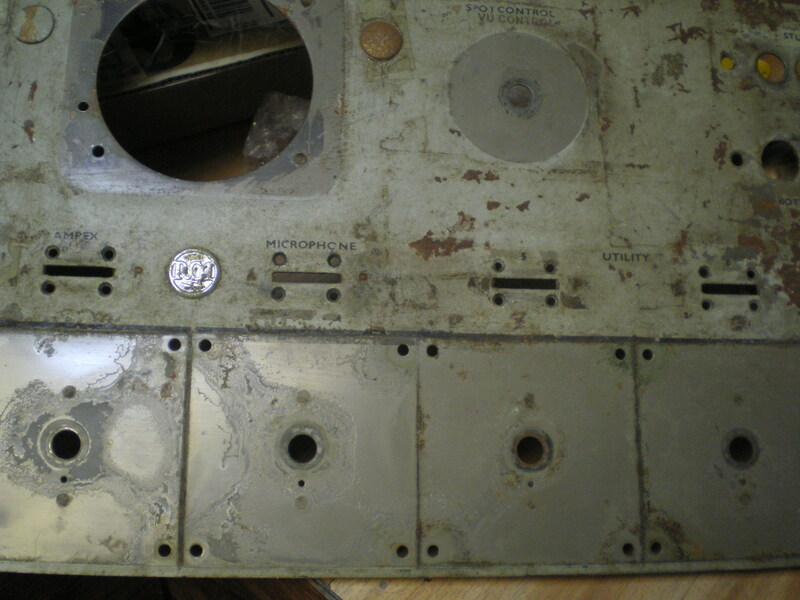 A few extra holes and an added switch to get rid of..
Clean and polish, touch up the black paint...not rocket science! 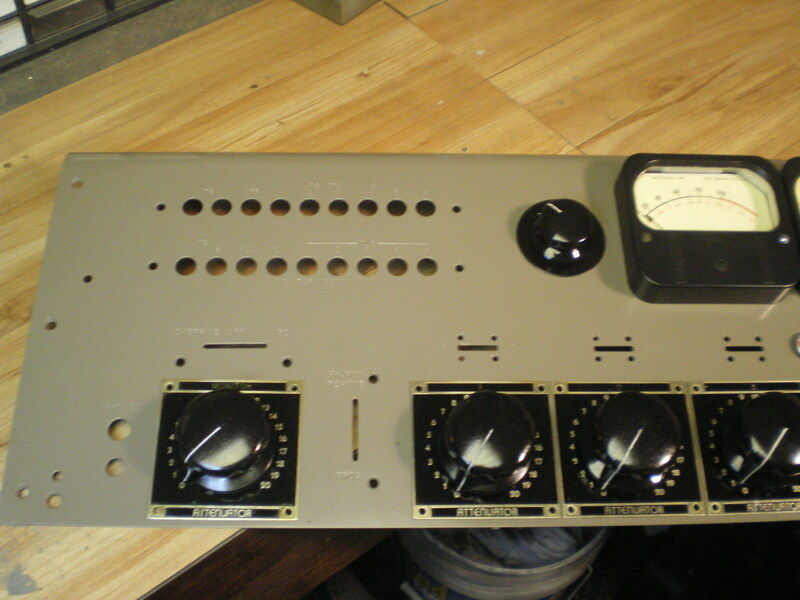 Getting to this point required cutting the metal to add a second VU meter, filling the extra holes that had been added in the last 60 years, stripping the finish(es) to the metal, priming and painting with a perfect match of RCA Light Umber Gray. 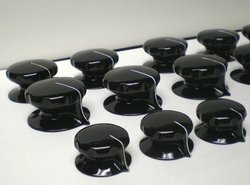 You would be surprised how good they look with a little T L C.
The left side before I added in the shading for the lettering...a royal pain.